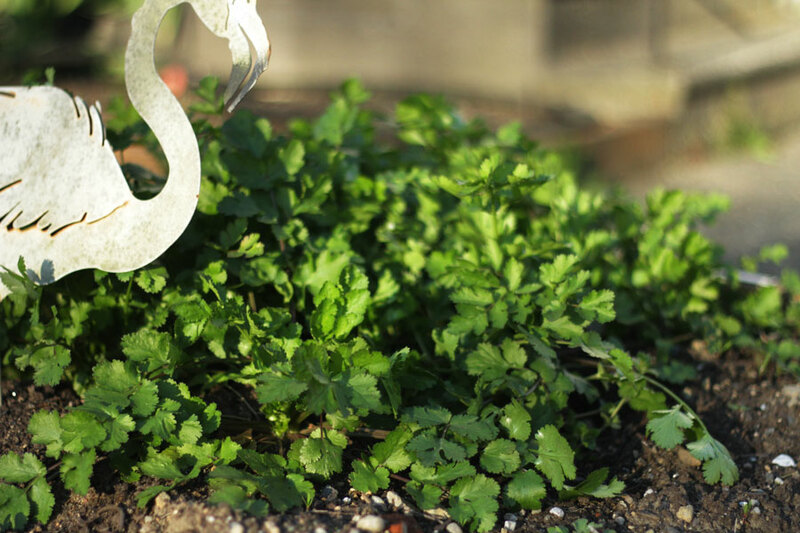 Apparently the cilantro that we let turn into coriander (cilantro seeds) last summer took advantage of a long winter in the ground and has leapt out as our first crop of the year. 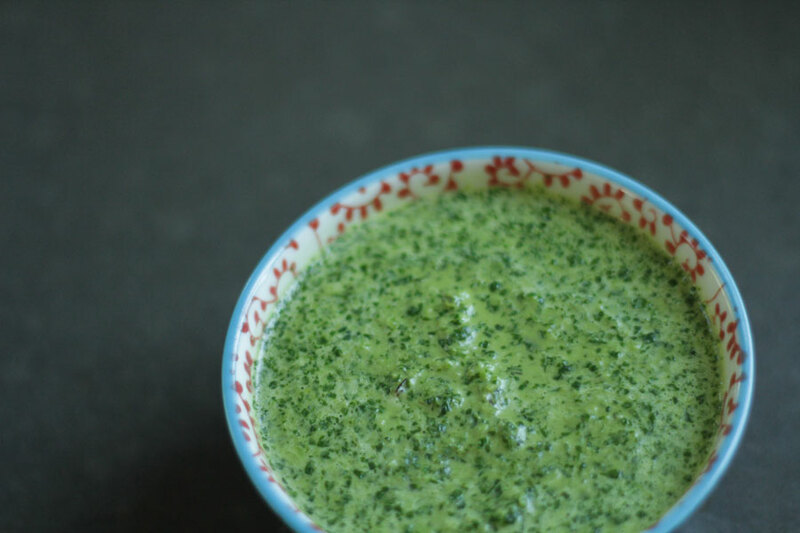 We had a cilantro sauce with some Peruvian chicken awhile back that was unforgettable, and I found a comparable recipe on a blog that makes me feel less bad about the infrequency of my own posts. 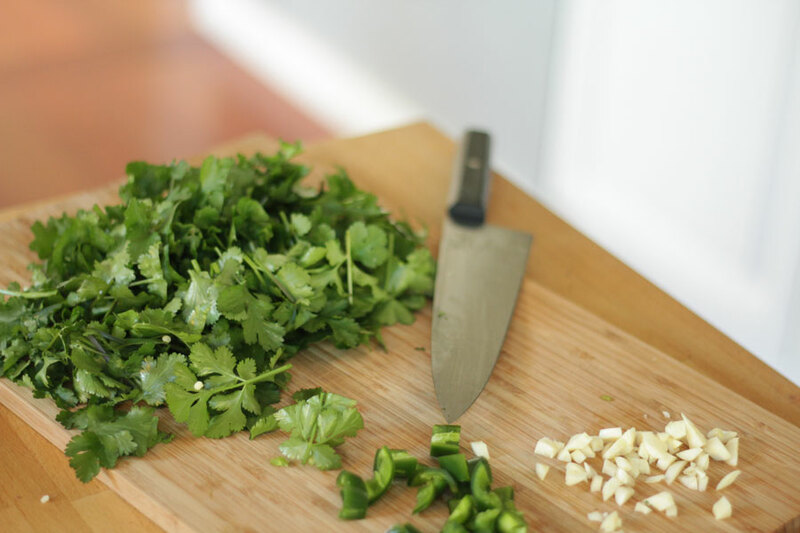 Cilantro (stems and all), lime, jalepeño, olive oil and garlic. 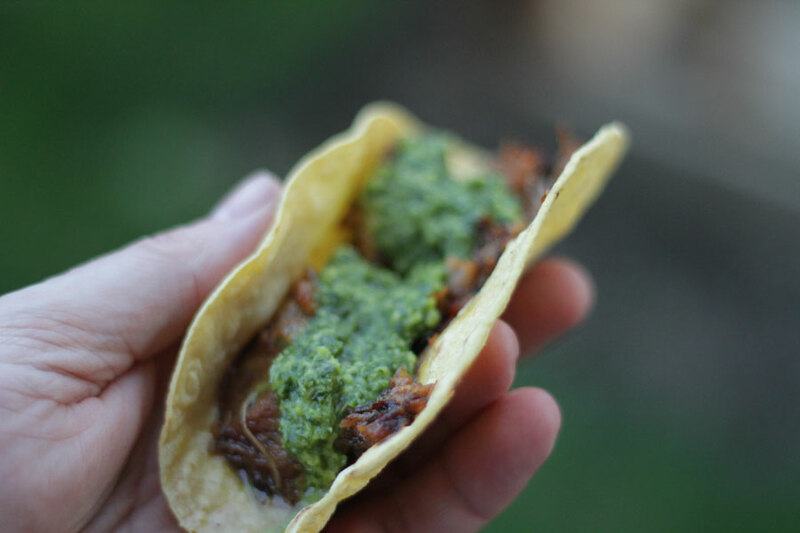 Pair it with the infallible carnitas from Homesick Texan on a freshly grilled corn tortilla and life is good. The cilantro patch gone wild. Chopped and ready for the food processor. The final sauce. 15 minutes later this bowl was 90% empty. Eat them in the yard or drip all over your shirt, dude.